PROOFREADING AND EDITING material on website including full text novels (fantasy, SF and military SF), short stories (horror, fantasy and SF), writing advice, autobiographical material and blog entries on eg Islam. Site also includes full text of medical memoir CANCER PATIENT. This website by professional author Hugh Cook, aka Hugh Walter Gilbert Cook, author of the CHRONICLES OF AN AGE OF DARKNESS etc. Site also includes poetry and flash fiction. 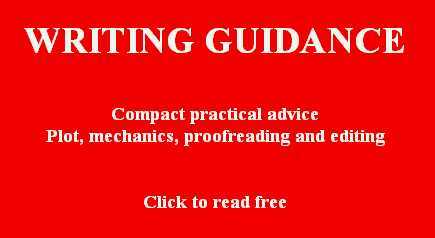 This site features PROOFREADING AND EDITING material about the art of writing: plotting, getting characters to act, proofreading and editing. Concise how-to-write advice by an expert. Read free online. This section on PROOFREADING AND EDITING is incorporated in the literary miscellany THIS IS A PICTURE OF YOUR GOD: A HUGH COOK READER. Here are some suggestions on editing and proofreading, which flow from my experience with proofreading my war on terror alternative reality novel, the suicide bomber fantasy novel TO FIND AND WAKE THE DREAMER, set in the city state of Oolong Morblock. This very long fantasy novel is about 199,000 words long and, as a printed book, runs to over 700 pages. If possible, print out the text and study the printout rather than attempting to proofread material on a computer screen. For some reason, viewing a text on a computer screen tends to encourage hastiness. Proofreading benefits from being taken slowly. That said, I confess that I did not print out my novel, but, instead, proof read it while it was displayed, bit by bit, on the computer screen. If proofreading a text on a computer screen, consider bumping up the font. While proofreading TO FIND AND WAKE THE DREAMER, I had two copies of the book open on the computer at the same time, and switched between them using alt-tab (hold down the ALT key and, while holding it down, press the TAB key, and you can go from one open computer file to another). The Word file that was for publication (I was aiming at publishing this book myself as a print-on-demand book via lulu.com, so needed a Word document which could be used as the basis for the published book) was given the name dreamer.doc. Since this document was going to be the basis for my published book, I displayed it on the screen using the VIEW -> PRINT LAYOUT option, so I could easily check paragraphing and page layout. I had open, simultaneously, a duplicate copy of the document to which I gave the title junk.doc  I routinely give the title junk.doc or junk.txt to disposable files which are garbage, so I can later delete them without worrying about whether they might or might not be important  and this I displayed using VIEW -> WEB LAYOUT, and bumped the ZOOM right up to 500%. Displaying the typeface at 500% of normal might seem like overkill, but in my case I had a technical problem to deal with. I was proofreading this book in the days following cataract surgery on both eyes, and, in addition to cataract surgery, I had undergone a vitrectomy (a jelly-removal operation) on the right eye. Following a vitrectomy, it is best to allow two months for the eye to settle down before going to get a prescription for spectacles. In my case, then, I was working with somewhat blurred vision, so I needed to bump up the font so I could read it efficiently, and worked with a magnifying glass beside me so I could read pull-down menus. However, even for someone whose vision is in the normal range, I would recommend displaying the font on the screen in letters which are large rather than small. The larger the letters, the easy the proofreading is. By keeping two copies of the text open at one and the same time, and by switching between them, it is possible to proofread both for minor proofreading errors on the "their/there" level and, also, for any layout problems, such as unintended gaps between paragraphs. Work with the text in some way. While proofreading the text of TO FIND AND WAKE THE DREAMER, the first thing I did was to make an HTML page out of each chapter. At that stage, I ran a spell-checker over each chapter, which catches a lot of errors (but will not catch an error such as a wrong choice between the options of "there" and "their"), then converted the chapter to an HTML page, and proofread that. I also adapted part of the text of this very long book to make a short story, to which I gave the title SHOOT TO KILL, and, in the course of adapting part of the text to make this short story, I picked up a couple of glitches. Another way to work with a text is to read it aloud. On the subject of reading aloud, I note that I once saw, at a newspaper office, proofreaders at work. I find that I cannot remember exactly how they worked, but I do remember that the method involved two people, sitting side by side, both working on the same text. One of these people read the text aloud. I think that the job of the second person was to check that what was being said matched what had been printed out. Presumably if someone says "The cat chased the dog" and you read "The cat chased the the dog", the fact that you are hearing "the" and seeing "the the" makes it easier to catch the error. The point I make about reading aloud is that newspapers at one stage (and maybe now, for all I know) used this as a method of working toward textual accuracy. And they were in the business to make money. They would not have done this unless it got results. Read your own work as a reader. Start at the beginning and read it right through. I was not able to read the whole of TO FIND AND WAKE THE DREAMER like this, so I ended up reading most of it as a proofreader rather than as an ordinary reader, but the more familiar you become with your own work the better. With a long piece of work, such as a novel, it is easy to lose track of the beginning of the book by the time you have got to the end. A novel of about 200 printed pages will probably have a length of about 60,000 words, so a reasonably solid novel of 400 pages or so will be somewhere in the vicinity of 120,000 words, and when you get up to 199,000 words and over 700 pages then it can be a problem to hold all the details in your mind. Working through the final draft of TO FIND AND WAKE THE DREAMER I found that, in the early stages of the text, it was specified that the number of missing nuclear weapons was nine, but, later in the text, this had somehow evolved to six. I standardized the number at six. Worse, and more noticeable, I found that toward the end of the book it is specified that President Olive Valise had a habit of daily prayer  this is relevant because the book is partly about a war between religions  whereas earlier in the book it was specified that she had completely lost her religious faith. Those two things had to be reconciled. Maintain a reference file while you build a project of any length, and refer to it while proofreading. This is something I have done religiously for many years now, and it has been of immense benefit. TO FIND AND WAKE THE DREAMER is not my longest book. The longest was my sword and sorcery novel THE WITCHLORD AND THE WEAPONMASTER which weighs in at a massive 250,000 words or thereabouts, and, as a Corgi paperback, comes to 716 printed pages set in 9/10 point Linotype Melior. (For TO FIND AND WAKE THE DREAMER I'm using 12 point Garamond with a small section set in 11 point Courier New). For a book which runs to hundreds of pages, it is humanly impossible (or, at least, impossible for me) to keep track of all the details. So, to help me, for every project I've made a file with the title rem.txt (REM standing for REMARKS), and, in this, I've kept an alphabetical list of everything. Each entry starts with the mark ">>" so I can easily search through the list by just searching from one occurrence of ">>" to the next. Note that one problem with keeping a reference file is that you may end up using it to store snippets of someone else's work. There have been times when people have been caught using sentences, paragraphs or even larger chunks of work sourced from someone else's writing, and the lame excuse that "I remember this as being my own work" doesn't wash. This kind of mistake can not only get you into legal trouble but also trash your reputation, particularly when people get the impression that it's an "accidentally on purpose" kind of error. Note that if your work is appearing under your name and yours alone then the fallout is only going to impact on you and your publisher. If, however, your perceived plagiarism ends up forming part of a book by multiple hands  a collection of essays by various authors, or a collection of stories by various authors, for example  then your misdoing may have the effect of contaminating the reputation of anyone who has the misfortune of being associated with you by appearing in the same published volume. To avoid this kind of error, if I quote anything in my reference files then I clearly mark it with two sets of quote marks, not "Tomorrow and tomorrow and tomorrow creeps at this petty pace" but ""Tomorrow and tomorrow and tomorrow creeps at this petty pace"". I also do this with handwritten notes. I've been doing this for years now, with the result that, if I stir to life some ancient archive, I know what is original and what is not. I make the point here that I've benefited from standardizing my work practices and following the same procedures down through the years. For example, in the year 2005 I decided to publish the books of a fantasy trilogy, OCEANS OF LIGHT, which I wrote back in the 1990s. When I found my old computer files from the 1990s, I discovered that, sure enough, for each of the three books I had made a rem.txt file. Obviously, this was going to be of assistance to me when I came to prepare the texts for publication (something I was not going to do in 2005 itself because I was under too much time pressure). When making my rem.txt file, if a character's name is "John Smith" then I make one entry for ">> John Smith" and also a second entry for "-> Smith: see John Smith" to cover both the "Smith" and the "John" option. Characters get their listings, and so to do place names. And, for each character and each place, I generally cut and paste part of the manuscript text where that element originally occurs, so, when I look at the reference files, I remember how this material was used. The rem.txt file for TO FIND AND WAKE THE DREAMER ended up being 74,818 words long. "The three meter condom went by the name of Damascus, and was the familiar of Acarigua Cantaura, a human female eighteen years of age." "What, exactly, was Aesthetic Hotolortics? The tear-out coupon did not say. But it did feature a full-color photograph of a woman who did not seem to have enough money in her budget to go out and buy all the clothes she needed to be decently clad." >> police: include Citywatch, based at Luanda Hill; Tolstaple, aka the Inner Police. Each island has its own police force. Police forces: the Conflux Constabulary. See Octavalus Heights (police building at Hoover). The Baton Force is the Glud Hurgus police outfit. Enforcers Zisperchilp police Zisperhaven-Chilp. Note that I made a special entry for "police" under which I put some police-related information to help me remember to look at other police-related entries, such as the entry for Enforcers Zisperchilp. Not only does the rem.txt file have a special entry for "police", but it also has entries for "food", "drink", "music" and "nukes". A rem.txt file is an easy way to keep track of facts and figures. How many people live in the city state of Oolong Morblock? About twenty million. How many thermonuclear devices are missing? Officially, none, but, in actuality, six. That kind of data. This kind of alphabetically organized file can also help you figure out how well your key entities are spaced out along the alphabet. When I was about twelve years of age I got into a horrible muddle while reading J.R.R. Tolkien's book LORD OF THE RINGS, gulping the whole thing down far too quickly, and taking not nearly enough time to digest it all. Part of my problem, as a reader, was Tolkien's fault. He cooked up two very similar characters and gave the both similar names, Sauron and Saruman. They are both men, both dark lords and both masters of magic. They are both bad guys. Both of them live in fortified stronghold and each is served by evil orcs. If one of these guys had been called Sauron and the other had been called Lushpuppy, then this book would have been a lot easier to follow. Similarly, if one had been served by evil blood-drinking orcs and if the other had been served by evil penguins which were addicted to intravenous marmalade, then the distinction would have been a lot clearer. When I came to cook up my own two evil guys for TO FIND AND WAKE THE DREAMER, the names I chose were Beria Dag and Don Trash. Actually, "Dag" and "Don" both share the letter "D", so this is not optimal. However, in the book they are referred to not as "Don and Dag" but as "Don and Beria". Note that the letters "D-o-n" do not occur in "B-e-r-i-a", whereas "Sauron" and "Saruman", which are not particularly long names, share the letters "s", "a", "r" and "n". I take this differentiation of names pretty seriously, and I am not the only one who does so. During the Second World War, the British found themselves facing military contingencies relating to two similarly-named countries, "Iraq" and "Iran", both in the middle east, both states with oil, both Muslim countries  a lot of similarities here, and no easy way to tell them apart. So someone (I'm not sure who, but I think it may have been the British Prime Minister, Winston Churchill) said, the hell with it, this Iraq/Iran business is a recipe for confusion and error, so we're going to rename "Iran" and call it "Persia" (which is historically what it was). I make a point of making sure that my names are spread out across the whole alphabet, so TO FIND AND WAKE THE DREAMER contains, for example, the name Xgadriver (a big incineration complex), Zisperhaven (an island) and House Qorbethalmace (home of the City Exorcist, Gelbert Protctor Tosterburger). I take the differentiation of names fairly seriously, as exemplified by a change that I made to the text of TO FIND AND WAKE THE DREAMER during proofreading. While proofreading, I realized that in one chapter, chapter 70, I had a reputation manager named Dali Figueras and a great gong called Dalai Pastoosh. Nothing wrong with either name. But "Dali" is almost "Dalai", and I wanted the names to be differentiated from each other as clearly as possible. So I changed "Dali Figueras" to "Salvador Figueras". The last of my practical hints is to try to proofread something at least four times, if it is important. Having made the plain text file, I checked it with my spellchecker (part of the UltraEdit package). Then I converted each chapter to HTML format. And, each time I made an HTML file, I proofread the finished result, and made any necessary changes in both the plain text file and the HTML file. I then checked the Word document. So, by the time I had a complete draft of TO FIND AND WAKE THE DREAMER, everything had been checked at least three times. I then sat down and worked through the whole text a fourth time, and at this point I picked up a whole slew of errors, including the business of "nine" missing nuclear weapons at one point in the text and "six" at another. I don't imagine that I caught all the mistakes, but I did give it a decent shot. Each day I would sleep for a few hours, then wake up, sometimes as early as four in the morning, and, sitting up in bed with my knees raised and with my laptop computer propped up on my knees  which, since I did not have the spectacles I needed, was the best way to get the computer screen at an optimal distance  worked on proofreading until the middle of the day. I made a point of doing something different in the remaining part of the day, such as working on a different project, and always went for a reasonably substantial walk each day. The point I make about this setup is that I was able to work on the task of proofreading without distractions. It is work that requires concentration, and it is not compatible with any kind of multitasking. Obviously, when proofreading, we have to catch bloopers. If there are nine missing thermonukes at one point in the plot, there had better not be only six later on. The two numbers have to be made to match. While I was proofreading TO FIND AND WAKE THE DREAMER, I found that in one chapter the day was specified as being Saturday. Right? No, wrong. In the chapter before, it was Friday. And, what's more, in the following chapter it was still Friday. I had made a big boo-boo which a reader would quite possibly have noticed  hey, it's Friday, isn't it, so why has it suddenly become Saturday?  and my spellchecker did not pick up on the error. Some errors you can only detect by reading the whole book in an intelligent manner, and thinking about the context. If it's Friday at the start of the day then it had better be Friday on the afternoon of the very same day, unless you have a very good excuse for it being otherwise. Similarly, if you have the full moon rising on Friday, you'd better be sure you don't have the full moon rising all over again on Friday week. Bloopers will spoil the story for the reader. So, when we're proofreading, and doing any light editing associated with the proofreading, we have to think carefully both at the sentence level (catch "the the" and deal with it) and also at the contextual level. For example, in TO FIND AND WAKE THE DREAMER there are three consecutive chapters featuring TV journalist Sable Tauranga. In Chapter A, she is wearing a polka dot bikini. In Chapter B, she is doing a TV interview with Ibrahim Chess. We are told nothing about what she is wearing. In Chapter C, which takes place on the following day, she meets Ibrahim again. "Hello," said a bright blonde voice, Sable Tauranga in person, emerging from nearby undergrowth, dressed not in her polka dot bikini but in bright green vinyl strutgirl boots, stonewashed jeans and a leather buffalo-shooter's jacket with so many pockets that any boy would have envied it. "Am I interrupting something?" I checked that through three times, and it looked just fine to me. Never occurred to me that there might be a problem. Only later, when I was doing a final read-through, did I see the glaring error. In Chapter A, Sable was on a boat wearing her bikini. But then, in Chapter B, she interviewed Ibrahim on TV. Surely she wasn't still wearing the bikini. She must have changed into something. But the text reads as if Ibrahim had perceived a transition from bikini to jeans. That won't do. We have to either delete the clothing references or else establish what she was wearing in Chapter B. Personally, I am a zero when it comes to tailoring. At the age of five, I was enormously upset when someone gave me a pair of walk shorts for a Christmas present. The thought that went wailing through my mind was "That's not a present!" And I haven't changed. One of the things that surprised me about my first seven years of life in Japan was all the clothes that I ended up acquiring. How can this possibly be me? How can I possibly own these tailor-made suits cut from high-quality English cloth? And all these pairs of shoes in the shoe cupboard, how can all these possibly be mine? So, as a writer, I'm a zero on the clothes front, and, if I seriously wanted to write a thoroughgoing girl's life novel, I'd have to go buy myself some women's magazines, and make a habit of leafing through them during my coffee breaks. After years of practice, cooking up imaginative monsters or organizing fight scenes with high body counts comes really easily to me, but figuring out what Sable Tauranga might have been wearing for her TV interview, that was a bit of a struggle, and initially I drew a blank. "Hello," said a bright blonde voice, Sable Tauranga in person, emerging from nearby undergrowth. This morning, Sable was not wearing the polka dot bikini in which she had displayed herself on the previous afternoon. Nor was she accoutered in the severely formal high-collared dress of imperial blue which she had worn for their evening interview. Instead, she was dolled up in bright green vinyl strutgirl boots, stonewashed jeans and a leather buffalo-shooter's jacket with so many pockets that any boy would have envied it. How does that phrase go? Doll cute and viper vicious. "Am I interrupting something?" said Sable. Didn't hear her creeping. No outboard motor warning. Must have rowed ashore." The other thing I added was the "Didn't hear her creeping" paragraph. Earlier, it had been established that Sable used an outboard motor when using the inflatable boat to which she had access. Ibrahim is in a very quiet place, so how come he is not cued to her approach by the noise of the outboard motor? That was another thing I did not think about when I initially wrote the scene. Probably most readers would just have registered the story development, which is that "Sable Tauranga shows up without warning and takes Ibrahim Chess by surprise". But there is bound to be the occasional person who thinks, "Hey, but wait a minute. She must have got to the island by that inflatable boat we read about earlier, and that thing had an outboard motor, and those things are noisy!" The reader who notices this might think, "Well, I suppose the writer has some excuse for this". But, ideally, the reader will not have to exercise this kind of tolerance. If you build a boat, then the boat should not have leaks in it, even if the leaks are not big enough to sink the boat. In catching logical bloopers, it helps to think carefully about the logic of the situation. How many people does this scene require? In TO FIND AND WAKE THE DREAMER there is an interview between Sable Tauranga and Ibrahim Chess. At the end of the interview, Sable chats privately with Ibrahim. But are they private? "Exiting the scene, Sable's cameraman banged shut one of the tug's heavy steel watertight doors, leaving Ibrahim and Sable alone." Logically, there must have been a cameraman present at the interview, so I want to explicitly delete him so, when Sable starts chatting privately with Ibrahim, no reader suddenly thinks, "But, hey, wouldn't there be at least a cameraman in the room?" I have had nothing to do with TV, apart from being a member of a TV studio audience, once, many years ago, so remembering that there must, logically, be a cameraman, did not come naturally to me. (In an ordinary TV setup, of course, there would be people on hand in addition to a cameraman, but this is an improvised studio on a tug which is presently remote from civilization. That said, if I'd focused more on the TV activity, I'd have had to research the question of what kind of people make up a TV team, and would have had to put in more effort to present the TV broadcasting activities realistically. Key point: do a simple headcount from time to time, and be sure you haven't missed someone. It's easy to overlook a necessary person, as I, initially, overlooked the necessary cameraman. Remember the story of the seven brothers who, having gone fishing, did a count and found they were missing one person. Problem? The person doing the count was neglecting to count himself. Obviously, the further you go beyond your natural range, the more of a problem this "who's there?" question becomes. Someone who routinely worked with TV would automatically think of the cameraman (and, doubtlessly, a bunch of other peoples as well) but, as I've already indicated, for me, the TV world is well out of my natural range. In 2005, the year in which I wrote TO FIND AND WAKE THE DREAMER, I think I probably watched no more than about twenty hours or so of TV in the course of the whole year, and that was in the "family room" at hospital, when I was staying in for days at a time while receiving chemotherapy. I spent the year 2005 with my parents, who do not have television. Looking back at the words about the cameraman exiting, note that the tug is described in passing. Minimally described. We don't need five thousand words of tug description here, and the plot wouldn't benefit if the description was expanded. We just need the flavor of reality. A smear of tomato sauce, not the whole barbecue. Hence the key words "steel", "heavy", "watertight" and "banged". This is tug-flavored tomato sauce. The reader can build the rest of the tug in his or her mind. The key to efficient descriptive writing, then, is to aim to capture the flavor rather than serve up the whole barbecue, and to describe things while the plot progresses forward, while action is taking place, rather than bringing the whole book to a crunching halt so the reader can endure a description. Descriptions are static, and a novel needs to aim at being dynamic, a machine constantly in the process of self-evolution. Things to avoid, then, include basic bloopers on the "the the" level; mistaken choices concerning, for example, "their" versus "there", and, of course, spelling mistakes. It also helps to think about clarity. Is this going to be clear to your reader? Sometimes, coming to my own work after a gap of years, I find something in an old draft which quite simply does not make sense. It made sense to me when I wrote it, but now, having forgotten the context, it doesn't make sense at all. One of the Roman writers, I believe, recommended keeping a piece of work on hand for seven years before publishing it to the world. Seven years might be impractical, but at least try for seven days. In terms of clarity, I focus in on pronouns, sentence length (shorter is better) and sentence complexity (simpler is better). During the first seven years that I spent teaching in Japan, I did a certain amount of editing work. In particular, for some years I taught e-mail writing. Students would get their writing assignments from a web site and would send me their efforts to be checked and corrected. One persistent problem that I found was that the topic would become confused or lost entirely. In Japanese grammar, topic is explicitly marked with the topic marker, "wa". However, in the English language, topic is typically implicit rather than explicit, although it is possible to explicitly identify the topic if we really want to, by saying, for example, "Now, at this point I would like to discuss X" or "This brings us to X", which plainly marks X as the topic of the moment. In the worst case, when Japanese students attempt to write complex English, the result can be a horrifying syntactic slurry in which four or five nouns are bubbling around in a discordant grammatical soup, with no way for any English-wired intellect to tell which noun is supposed to be in a relationship with which verb. In response to this kind of apocalyptic grammatical breakdown, my standard advice was to work with short sentences and simple structures. And, when I'm editing my own work, and hit something which seems a bit murky, or is a little tricky to parse, I follow my own advice. I also advise my students to be careful with words such as "it" and "they" and "he" and "she". If there's any distance between the antecedent and the pronoun, then, as a rule, it's a good idea to restate the antecedent. On occasion, while editing the text of this long novel of mine, TO FIND AND WAKE THE DREAMER, I chose to lubricate the reading process by restating the antecedent anyway. What follows is an example. "Would probably only have taken him ten minutes, given that he could guess at the probable location in advance. Maybe less." "Would probably only have taken him ten minutes, given that he could guess at the probable location in advance. Ten minutes? Maybe less." There is absolutely no need to restate "Ten minutes" as the reader hitting "Maybe" will only need a microsecond to think back and find "ten minutes". And restating the antecedent like this could very easily become irritating, the danger being that the author will end up seeming to be accusing the reader of brain damage. So it's a judgment call. How I approach it is this: does the adjusted text read more smoothly to me? And does the adjustment make for a text which reads naturally, or does it result in something which seems ugly and forced? If in doubt, go for clarity and simplicity. Do not be afraid to shorten, simplify and restate. "When the time for divorce draws near, it often happens that both husband and wife realize that their marriage has served as an engine for doing something which they did not plan to do, that being to create the person whom they hate more than any other living human being, the person with whom they are now at war on a take-no-prisoners basis, the person who is bitterly contending with them over, amongst other things, the question of which of them will walk away with the larger piece of the family cat, Tiddums, who, five years old and still innocent, has no idea what is in store for her, and does not understand why dinner is somewhat delayed." You want to know why I claim to be able to write? I'll base my claim on that sentence. That's my circle drawn freehand, if you're asking for a sample of my work. Rule: if in doubt, simplify. To wrap up, I'm going to give a few examples of some edits that I did for stylistic reasons. Stylistically, I don't think it's a good idea to repeat the same word, for example "guy". It's better to use a variety of words, for example, "guy", "person", "individual" and "citizen". Searching for new words for the same thing does two things. First, it helps make the writing lively. Second, the quest for the new words helps focus the writer on the situation, which may assist in the production of a text which more exactly specifies the situation. With that preamble, what follows are some examples of stylistic edits. As Ibrahim came up onto the roof, a snake stirred in the darkness, a python, black, huge, its hugeness picked out by the scattered glitter of its luminescent green scales. It was huge, five times Ibrahim's length. As Ibrahim came up onto the roof, a snake stirred in the darkness, a python, black, huge, its massive coils picked out by the scattered glitter of its luminescent green scales. It was enormous, five times Ibrahim's length. Thinking more carefully about "hugeness" takes the text in the direction of exactitude, toward "massive coils". It's a snake, and it's lying in coils. "Good think," said Ibrahim. "I hadn't thought of that." And he went to work, thinking to himself: just how the hell did this happen? How did I end up sitting on the roof of the presidential palace, cooking in the sun, sharing the roof with an out-and-out lunatic religious nutter who happens to be my brother, with a thermonuclear device armed and ready to go, with a bunch of extremely deceased guys who got slaughtered dead in a firefight, and with the living incarnation of Toralina Soubliette, who is my partner in crime, the crime in question being organizing a drug deal so major that it's surely worth not just the ruin of my reputation but fifty years in a concrete box? How did this happen? Because I didn't like the thing/thought/thinking sequence, when I did the final edit I modified "And he went to work, thinking to himself" to "And he went to work, wondering to himself". You might or might not agree with this approach: your sense of style may not be mine. What I would say, however, is that style is worth thinking about at this level of nuance. After you have sorted out the dynamics of the plot. Once again, keep the main point in mind: if you haven't gone and built a decent table, then there's no point in fooling around with the varnish. While I was busy proofreading this very long novel of mine, TO FIND AND WAKE THE DREAMER, I used some small fractions of the text as the basis of a short story, SHOOT TO KILL, as mentioned above. What is the error? Your spell-checker will not be able to tell you, and neither will your English teacher. The error is that Esmeralda has been labeled with her surname, Arizona, and the standard for this particular novel is, as has been previously indicated, that characters are referred to by their personal names, where these are known. For example, the head of the secret police, Beria Dag, is referred to as "Beria", not as "Dag" or as "Mr. Dag". By referring to Esmeralda Arizona as "Arizona", then, I was breaching my own style book. The point here is that a text should be stylistically consistent. Should you use surnames or personal names for your characters? Doesn't matter, as long as you're consistent. Should there be one space after a period (that is, after a full stop) or two? Well, if you work for an organization, it may have its own style book, which may quite possibly lay down the law on this point, one way or the other. If you're being your own editor, however, you have to make a choice. Choose one or the other, and then be consistent about how you apply it. Ideally, the reader should perceived the story and not the text. The text should be so polished, so exquisitely lacquered, that it slides into the mind without meeting resistance. And anything that it stylistically wrong  any eccentric alteration in the way in which you handle the mechanical details, as exemplified above  creates a distracting sense of friction which forces the reader to acknowledge the fact that this "story" is actually a bunch of words on a page. When we are proofreading, we have to read at the letter-by-letter level, in order to catch bloopers such as "the the", which will usually be read simply as "the"  the mind tends to see on the page what it is expecting to see there, not what actually is there. But that is not how we read a book when we are reading as readers rather than as proofreaders. We read for meaning. And anything which throws the reader out of "reader" mode and into "proofreader" mode is disruptive to the reading experience and, especially in the case of reading fiction, spoils the reader's experience. Another grin, very blonde. This talkback show needed theme music, and an appropriate track would be the famous dance track by the group Metrotrash Jumble, Dancing on the Edge of Hell." The sequence of "track" followed by "track" is not stylistically fatal, and probably the average reader would skip right over it without noticing. However, it leaves me unsatisfied, and the first reader I have to satisfy is myself. So, in the course of doing the final edit, I changed "dance track" to "dance tune". I very firmly believe that doing this kind of highly nuanced tweaking is something that should be left until the editing phase. Writing and editing are two different things, and it is not a smart idea to combine them. When the text is actually in the process of being forged from the molten steel of the mind, then the focus should be on the overall shape of the whole, on the controlling dynamic which masters the book into a unity. In a word, plot. In my concept of fiction writing, then, plot is supreme. The storyline is the mnemonic device which holds the complexities of the novel together in the human mind. Writing, then, as I see it, is not about producing the elegantly turned sentence but, rather, about mastering the parts into a whole. A final edit which attends to nuanced is like varnishing a table. If you don't know how to make a table, and how to make sure that all four legs are exactly the right length, then an eternity of effort spent varnishing the table is really a waste of time. You should really smash down what you've built into firewood, and start over. It's my impression that the academic world tends to sneer at the vulgar business of "story", of action B following action A and, logically, provoking action C. Snobbery values the varnish rather than the table. But, when we're talking about the novel, plot, in my mind, is what it's all about. What the hell is the story here? And the main reason why I was happy to pour in the hours on a final edit of TO FIND AND WAKE THE DREAMER, the main reason why I was content to lie on my bed for days at a time, going through the text line by line, was that it's one hell of a story. Also, in an act of supreme intellectual arrogance, an unashamed affirmation of my self-acclaiming ego, I had the temerity to put the words "The Ultimate Fantasy Novel" on the title page. And, once you've gone that far out on a limb, you'd better not deliver to the world a book which contains too many miscues and outright bloopers. So, being supremely confident of the quality of what I had produced, I was happy to spend the hours required to polish and varnish it to the best of my ability. But it has to be stressed, once again, that the pretty work done on the shiny surfaces is not the important thing. The important thing is the basic table, and, if you don't have that, you're wasting your time. Remember that a work of fiction is not just a bunch of words. It is a situation. It is important to visualize the situation and to figure out how this works on the level of perceptual dynamics. However, some brain-damaged moron, generations ago, decided that, as you drive along the road, you see the word "give" before you see the word "way". According to this theory of reading, if we are approaching a sign that is painted on the road then we read it by starting with the word which is nearest to us and proceeding to words which are more remote. In point of fact, this is a nonsense. Nobody's eye goes creeping along the road like a brush poking out in front of the car, sweeping up words one by one, and there would be an enormous number of traffic accidents if the art of reading (and, more generally, the art of seeing) was that inefficient. This institutionalized "WAY GIVE" error seems to be unfixable, since it has been perpetuated down through the years for as long as I can remember, and so we're talking about decades rather than years. With that, Sable reached into one of the pockets of her buffalo-shooter's jacket and pulled out a piece of paper. A computer printout, dark purple text on a white background. She unfolded it and passed it across to Ibrahim. With that, Sable reached into one of the pockets of her buffalo-shooter's jacket and pulled out a piece of paper. She unfolded it and passed it across to Ibrahim. A computer printout, dark purple text on a white background. Prissy: "But you want to explode us." Ibrahim: "I love you. And I wish you long life and happiness." If self-humiliation came any worse than that, he didn't want to go there. Nothing wrong with the passage shown above. It's functional and moves the book forward. But Ibrahim is a politician, and is characterized as being a fairly effective political communicator. So, when I reread this, thinking about the situation from Ibrahim's, one adjustment seemed logical. Ibrahim, as a politician, and as someone who is reasonably media savvy, should be a habitual name-user. So I adjusted the text to read not "I love you" but "I love you, Prissy Colorful." In summary, then, proofreading has to cover a bunch of different things. Data has to match. If it's Monday when the viewpoint character wakes up, the writer must have a good excuse if it is suddenly Tuesday by the time the viewpoint character reaches the breakfast table. Errors such as the choice between "there" and 'their" have to be hunted for. Style has to be checked, to avoid the mindless repetition of terms. And we have to think about the realities of this situation. About the order in which information is processed emdash for example, first you unfold a computer printout and THEN you see what is written on it. And about how long things take to happen. Was there time enough for this conversation? We have to live through the scene, imaginatively, and make sure that the words match the scene. The last thing I would say is that proofreading is important. Blunders at this level have a tendency to wreck the reading experience. Point: the writer is one person and the work of proofreading, however long it takes, is the work of one person and of one person only. Readers, all going well, are many. The work of the one, the writer, benefits the many, the readers. And if you're not prepared to do the job of proofreading, then why are you setting up as a writer? "You! Yes, you, you bunch of idle layabouts! If you're too lazy to put in the effort to proofread, then why are you setting up as a writer?" Answer: to have an excuse for drinking more liquor than is good for human health and to avoid the responsibility of forging a responsible and remunerative career in the cement industry. But let's not publicize that! religious fanatics, suicide bombers and the excesses of the war on terror.